Originally, a group of council members were against the incentives since there was not a cost of living adjustment approved for Metro employees. Now, some of those council members plan on supporting the Amazon incentives resolution. 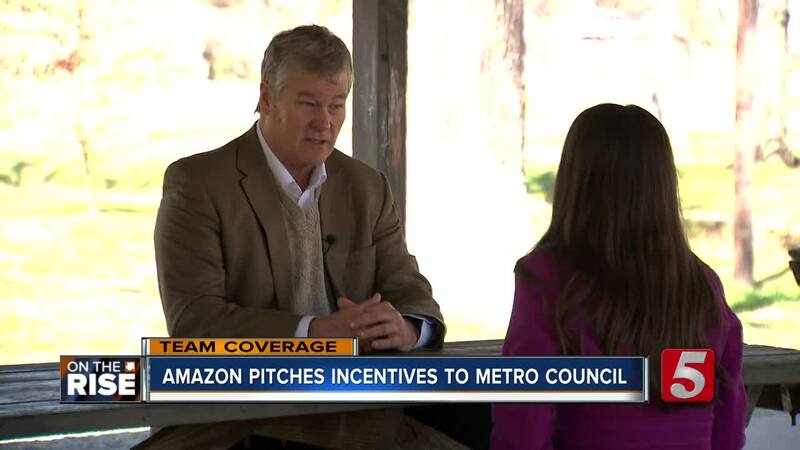 NASHVILLE, Tenn. (WTVF) — Metro Nashville council members voted to approve $17.5 million in incentives in exchange for the jobs Amazon says it will bring to Nashville. They voted Tuesday to give $500 per-job in tax incentives to the company for up to 5,000 jobs. While the majority of council members were in favor of the resolution, discussion took up nearly an hour and a half. One amendment tacked onto the resolution would cap the number of jobs at 5,000 and the annual incentive wouldn't exceed more than $2.5 million each year. Another amendment would request the Nashville Convention Center Authority offer money to fund the incentive grant. Resolution sponsor Tanaka Vercher asked Nashvillians to be patient as council members continue to ask tough questions when it comes to incentives. "Just because the resolution is passed tonight, doesn't mean the conversations end here tonight. Those tough questions will still come, and you will still have a voice as we continue throughout this process," she said. Because of the resolution's passage, it's possible that taxpayers could foot a $2.5 million bill each year depending on how many jobs are actually created. The incentives would be over a 7-year period, so if all the jobs are filled, it would cost the city $17.5 million. If Amazon wants to request more money, they will have to go back to the Metro Council to do that. Originally, a group of council members were against the incentives because they wanted a cost of living adjustment for Metro employees instead of giving Amazon money to operate. Ahead of the Tuesday vote, Mayor David Briley on Monday proposed a 3 percent cost of living adjustment, which would go into effect July 1 if the council approves his budget in May. Before the vote, Amazon made significant investments in the Nashville area. They made an $800,000 endowment to a Tennessee State University computer science professor to help create a logistics work force. In addition, they have donated over $250,000 to area non-profits. Since opening their first customer fulfillment facility in Tennessee, Amazon has donated more than $1 million to local organizations. We learned Amazon will pay about $5 million per year in property taxes for their operations center at Nashville Yards. · As part of our Operations Center of Excellence in Nashville, Amazon will invest over $230 million and create 5,000 new full-time jobs with an average wage of over $150,000. This is the single largest jobs announcement made by a company in Tennessee history. These new jobs will expand our existing presence in the region, where we have already created over 2,000 jobs. · The construction and ongoing operation of this corporate office will create additional jobs and millions of dollars in additional investment. This will result in an anticipated incremental tax revenue of $1 billion dollars over the next several years. · We plan to start hiring soon with the goal of having approximately 400 new employees by the end of 2019, working from temporary office space downtown while our new buildings at Nashville Yards are under construction. · We have already committed to several partnerships, including with TSU for a Professor Endowment focused on computer science, Communities in Schools, Project Return and The Store.